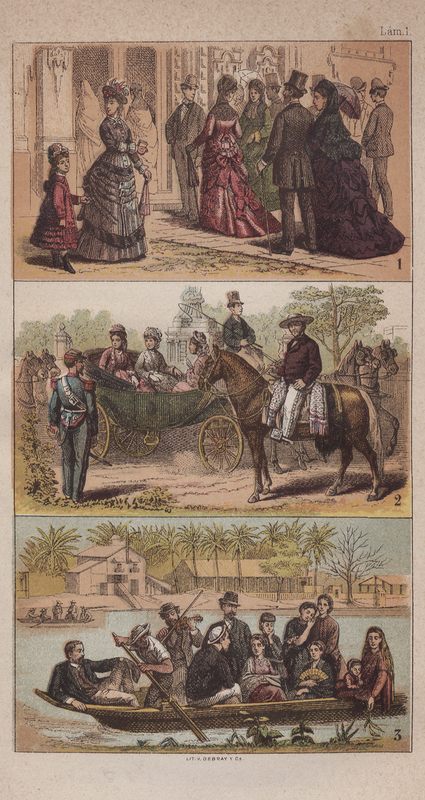 Antonio García Cubas (1832-1912). 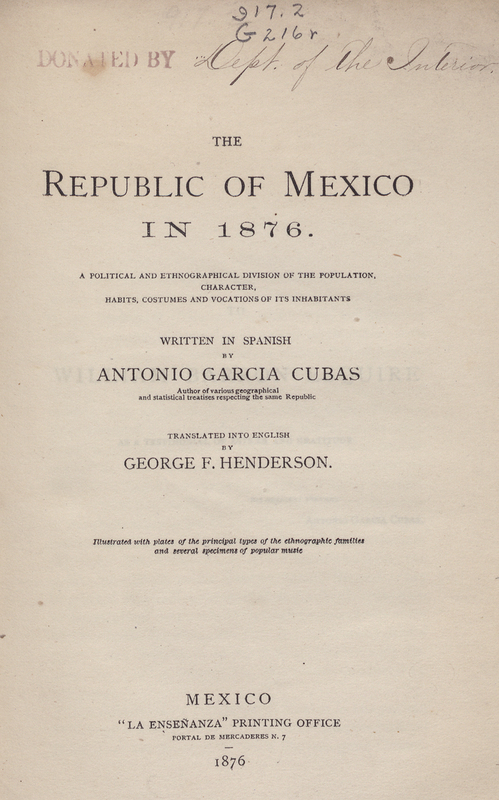 The Republic of Mexico in 1876. 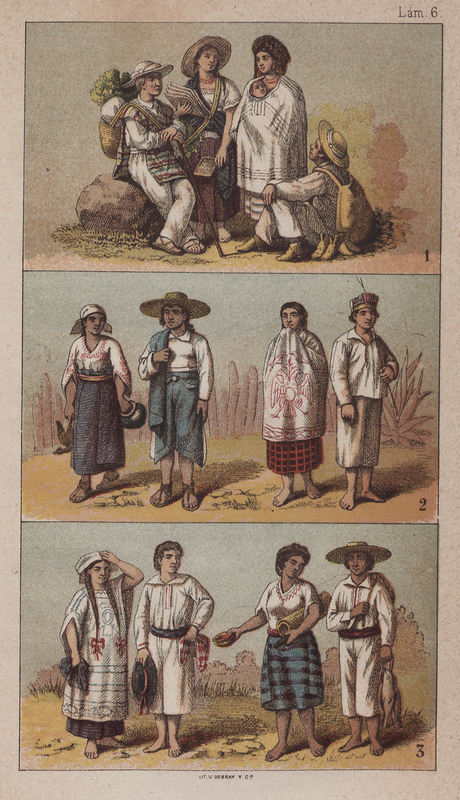 A Political and Ethnographical Division of the Population, Character, Habits, Costumes and Vocations of its Inhabitants. 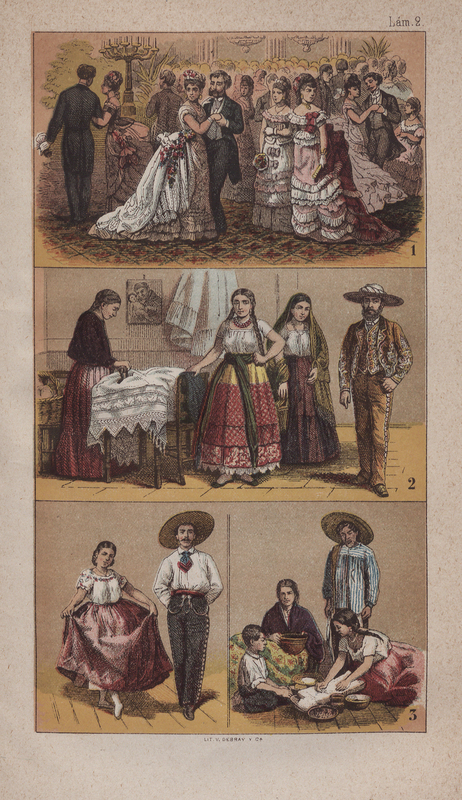 Mexico: "La Enseñanza" Printing Office, 1876. 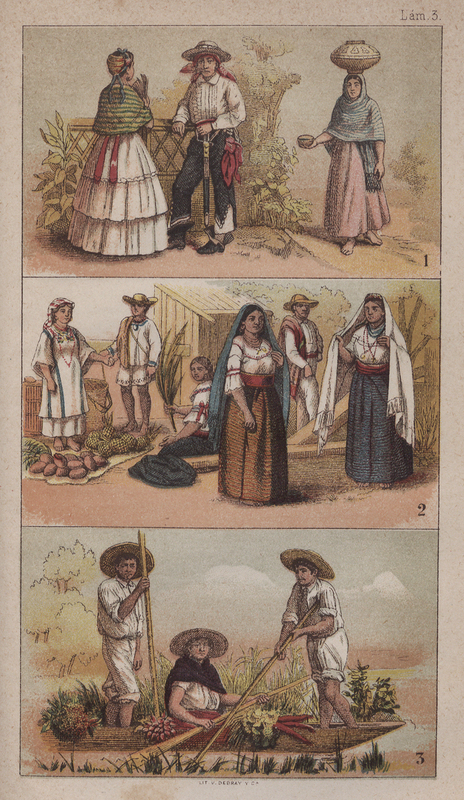 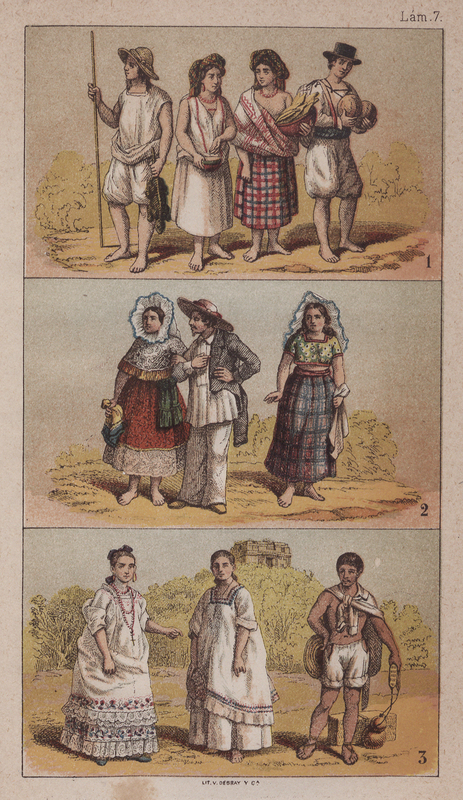 Translated by George F. Henderson, this survey of Mexican culture contains specimens of popular music, eight hand-colored plates showing period dress, and a double-page map. 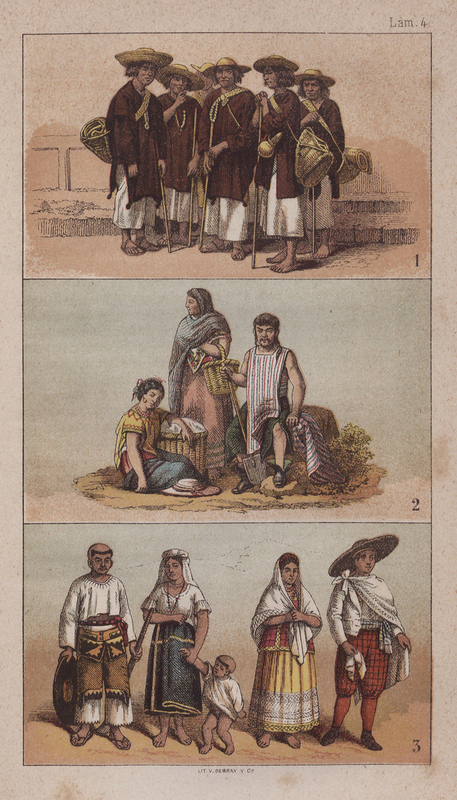 Included are images of indigenous peoples such as the Indians of Mexico.